We aim to make it as easy as possible to film in Westchester. We'll help guide you through the permit and insurance process, which may vary across the county, and help expedite the details of your production. 1. Complete the Letter of Intent form. This will ensure you receive top-notch service from us in all aspects of your production. 2. Let us know where you want to film or what you&apos;re looking for in a location. We can suggest sites relevant to your needs. However, you can also read up on all our communities. In the Guide to Municipal Filming, we have compiled, by municipality, local filming regulations, including contact information, licenses and permits and insurance requirements. Please keep us in the loop even if you&apos;re filming at a non-county-owned location. 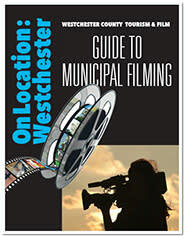 The more information we have about what&apos;s being filmed in Westchester, the better we can serve you. 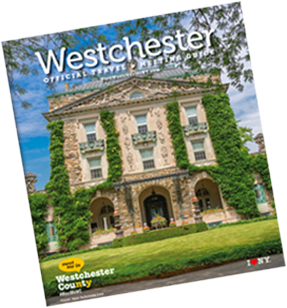 If your location is owned by Westchester County, we&apos;ll consult with you and coordinate the terms of your permit and location fee. We&apos;ll work with you to ensure terms are finalized and fees are paid prior to shooting. -- Proof of workers compensation coverage, on NYS Form C-105.2 (state statutory limits apply). Questions? Let us answer them. You can start by reading our FAQs or simply by contacting us today.